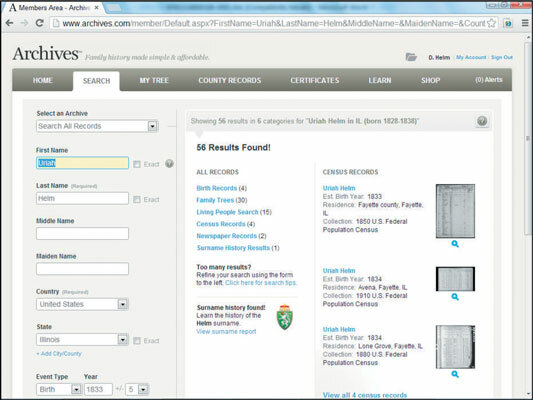 1In the Select an Archive section, set the drop-down menu to Search All Records (the default setting). Fill in the First Name, Last Name, Middle Name, Maiden Name (if applicable), Country, and State fields. You can set the First Name, Last Name, or Location fields to find exact matches. If you get too few results, deselect the Exact check box. 2Fill in an event type, a year, and a date range, if you'd like to restrict your search with any of these criteria. You can add events by clicking the Add Event link. The search results page appears. The results are arranged by record type. The same record is sometimes duplicated across record types. 4Click a record type to see its individual results. 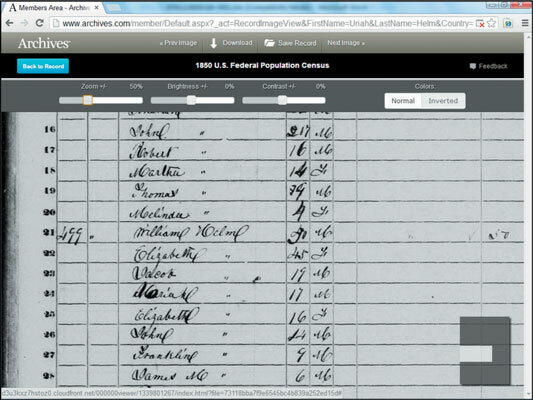 For example, here, Census Records was clicked. 5Click the name of the person to see the full record. The 1850 U.S. Federal Population Census was clicked here. 6Click the thumbnail image just above the Image Available text on the right side of the page. The record page appears with some details about the individual record, including gender, estimated birth year, birth location, and residence. The detail on this page depends on the type of record you’re viewing. 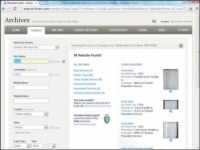 Note that some of the records contained in Archives.com are available free on other sites. 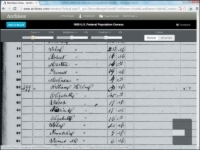 For example, the 1850 census record viewed is actually taken from the FamilySearch site. 7Click the View Image button on the right side of the page. The image viewer launches and displays the digitized image. For a closer look at the image, use the zoom controls in the upper-left corner of the image viewer. You can change the brightness levels and contrast or invert colors by using the controls at the top of the viewer. 8To download the image, click the Download button at the top of the screen. A file automatically downloads to your machine.